Are you ready for a ‘YES’? After an evening talking about how to run effective sales consultations, an unusual topic came up. And although initially a joke, it was very interesting and something we probably don’t consider much in the coaching world. The thought was this: a lot of coaches are just as afraid of a potential client saying ‘yes’ as they of them saying ‘no’. Think about this for a moment. Have you ever felt a little pang of “oh crikey, what now? !” when a potential client says yes? Did you think about where it came from? This seems to happen more often than we realise. Why? Because we realise that now they’ve said yes, we have to deliver! We have to put all the training and all the hours of coaching others into a new coaching relationship – one that is unlike any others because after all, all clients are so different. That knowledge can end up being more than a little terrifying at times. 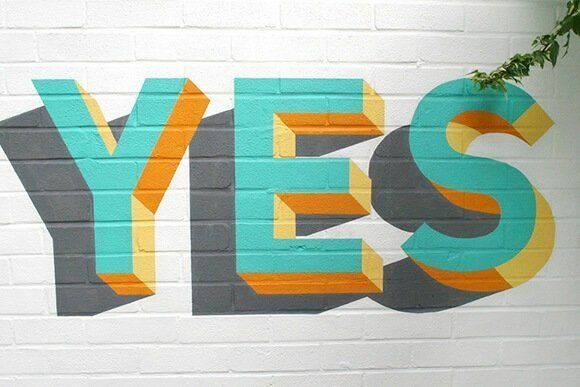 So, are you ready for the ‘yes’? When you sell your service, are you really ready to provide the value that you want to provide for the cost of your coaching? Have you thought about these questions before? Even if you have, do you even know what is going to happen when you hear that yes? Do you know your process? Do you know how to transition them from a conversation in which they say ‘yes’, to actually doing the work, getting the money and arranging the time. Be ready for the yes with a list of “great, here is what happens next” so that both you and your new client know exactly how to move forward. No questions, just clarity, confidence, precision and readiness to start working together. In any sale of a product or service, if you aren’t sure of the next steps of the process, a question of the value of the product or service itself may arise. Don’t let these questions arise and don’t get wrapped up in simply getting the consultation right if you aren’t ready to take the next steps. So tell me, are you ready to get the ‘yes’? And if so, what do you need to have in place for that first, tenth or hundredth ‘yes’ to feel seamless from your client’s perspective? Now is the time to set it all up so you that every ‘yes’ you get, you hear a celebratory ‘yes’ in your mind too!